The Holiday Season can be tricky to navigate when you’re trying to be healthy, or if someone you’re close to has had some dramatic, healthy lifestyle changes. I remember trying to figure it all out when my Mom had cancer. We wanted to get her presents/stocking stuffers and make food that felt Christmas-y but that also somehow fit into her/our new, healing-focused direction. That was 7 years ago (!) and a lot has changed since then. It is no longer as difficult to find personal care products and clothing that are so non-toxic you could eat them, that also work/look nice. There are also mountains of recipes available for healthier holiday treats that are just as good as the original recipes minus the garbage feelings. I can’t help, every year, but think about what I would get my Mom for Christmas if she was here (there’s just so much inspiration and cool stuff available out there now!) so I’ve put together a list of things that you might find useful if you are buying for someone with cancer or who is trying to change their life for the healthier. Or ideas for you, if you have cancer, and don’t want to feel like a hypocrite, taking candy and wine to a holiday party as a host gift, when you aren’t currently drinking wine or eating candy. Or maybe just some ideas to do something nice for yourself. That’s a good idea too. 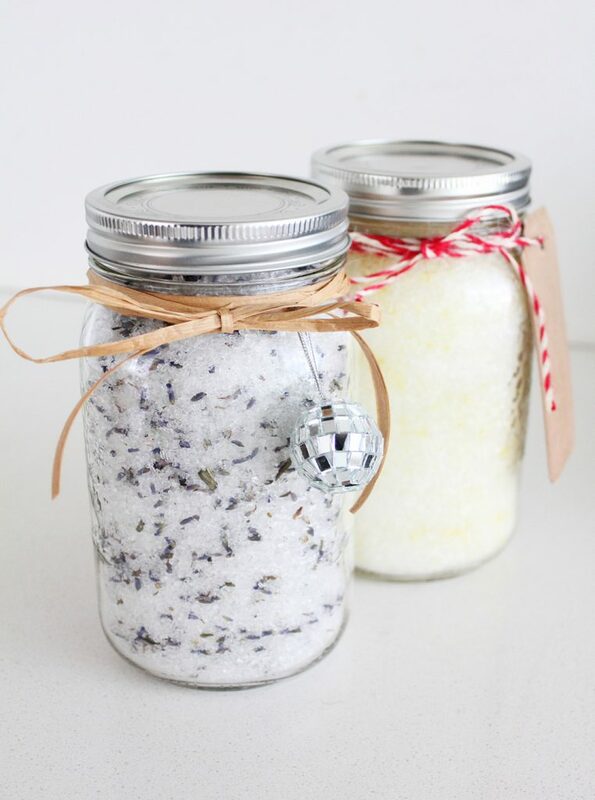 I love the idea of bath salts because they work for men and women, they relieve your sore body, whether you’ve been working on your feet all day, holiday shopping like a boss, or suffering from treatment-related pain. 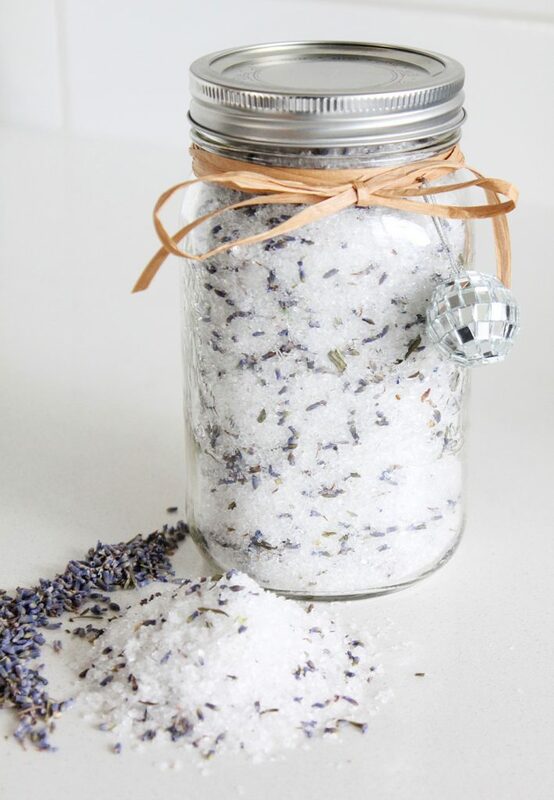 I personally always forget about baths, but when we have good bath salts, it reminds me that we have a tub and that I should totally go and relax in it. 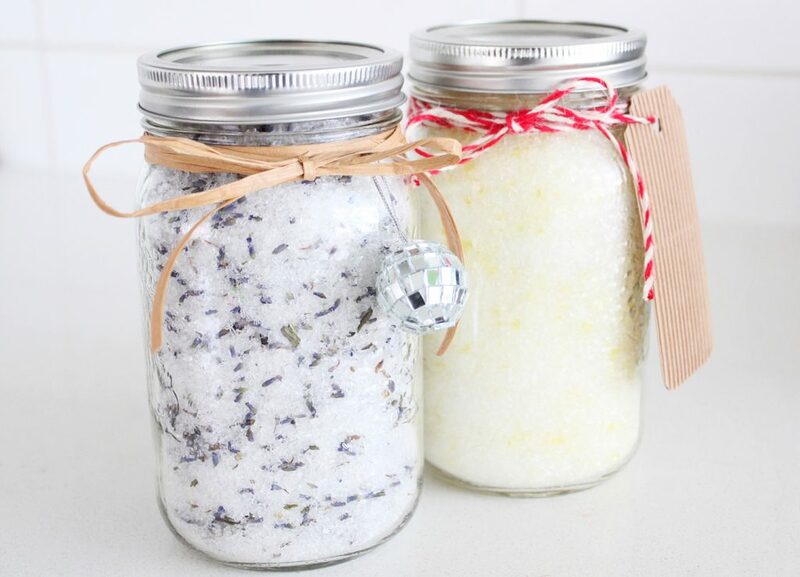 So, you would basically be giving someone the (homemade, affordable) gift of self-care. Maybe include some kombucha, so that they can enjoy a glass of bubbly in the bath too? 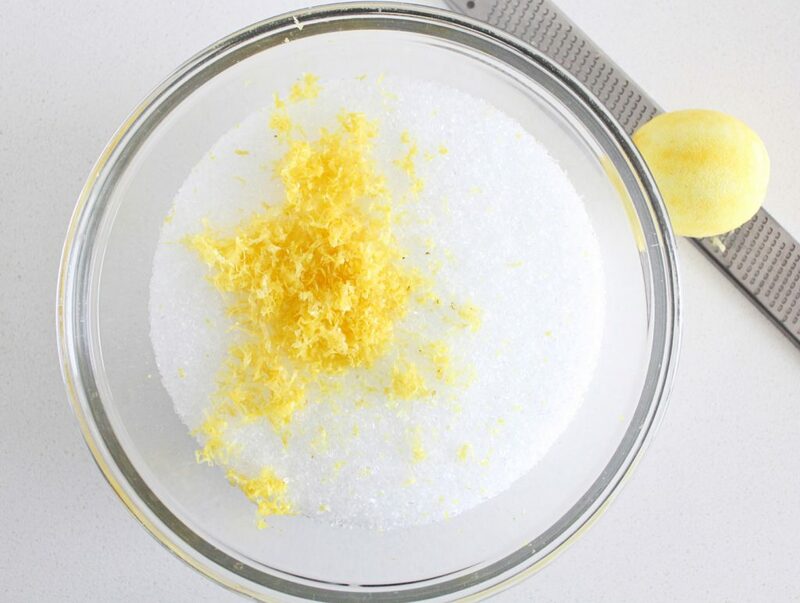 We have included two simple recipes for bath salts below, one lemon (uplifting) and one lavender (calming), but feel free to add the essential oils that suit your personal needs or aromas that you love (or think someone else would love). 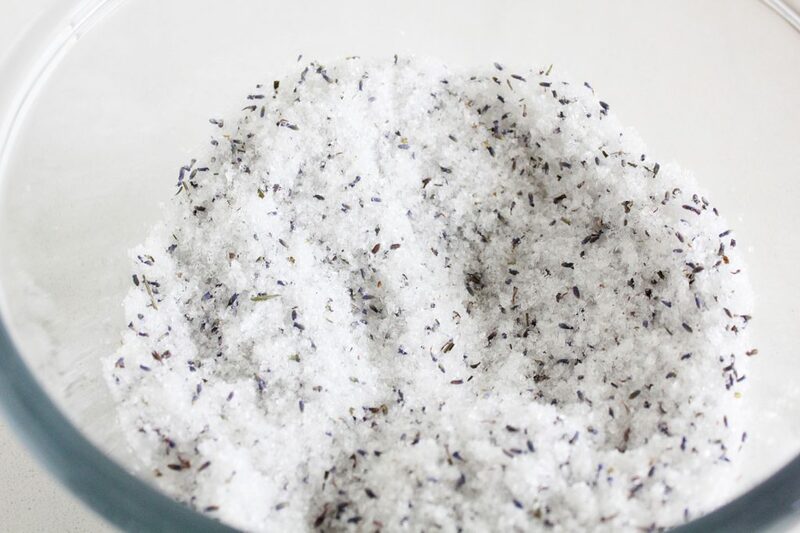 We used Epsom salts, but you could go with any mineral-rich salt, including the Himalayan that we use for cooking, the price will vary based on what you use. 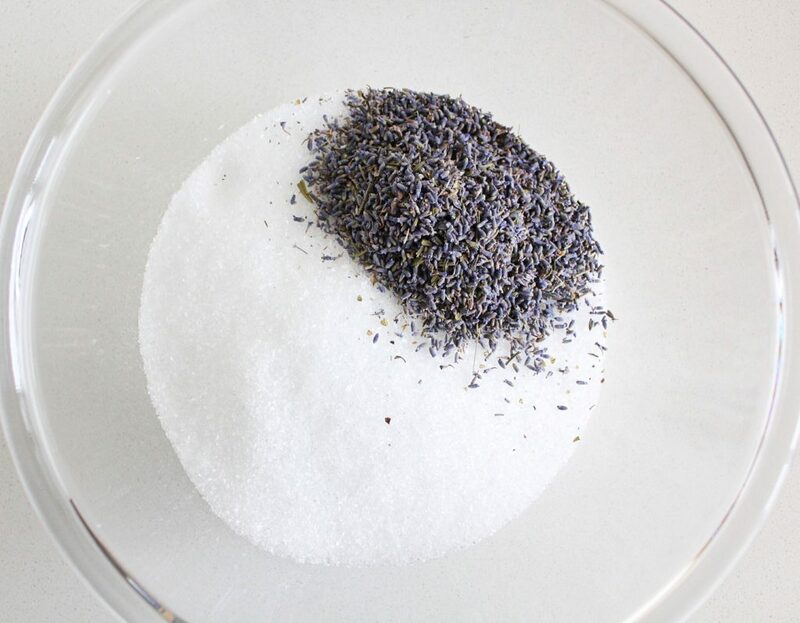 Sea(weed) Salt –I know you’ve thought about making this for yourself, why not do just that and make a big enough batch for your secret Santa, your siblings, and your kid’s teachers too. Include a bag of organic popcorn and a recipe for our (insanely delicious) turmeric popcorn on the gift tag. Sea(weed) salt would also make a great bath salt, by the way. Fire Cider –this immune-boosting tonic takes several weeks to steep so start it today! When I first posted this recipe I got many emails asking where to buy it. 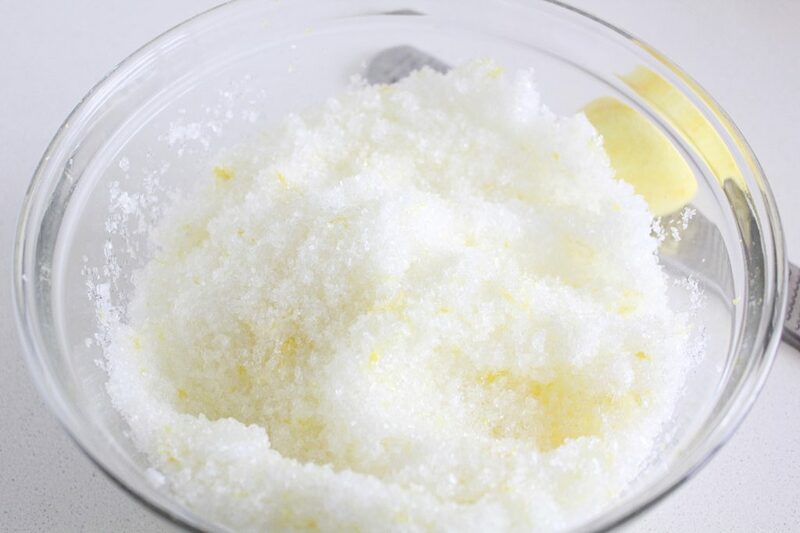 You can make it yourself so easily and once finished it is worth its weight in gold, especially during cold and flu season. You can even put it in a nice bottle and wrap it together with some organic tomato juice (store-bought, in case it will be spending some time under the tree) and a couple of reusable glass straws to make immune-boosting bloody marys with. You won’t need a hangover on New Years Day to enjoy it (although it can help out with a hangover too). Plant-based Parmesan –Another recipe that you may have been toying with making that is so worth the little bit of effort. It’s hard to describe to someone how deliciously cheesy it actually is, which makes it the perfect thing to make for someone who is attempting a dairy-free holiday season. Gingerbread Men on a Rosemary Tree -We posted this recipe last year. These little guys taste awesome and look super cute. And the rosemary will keep giving its antioxidant-rich, cancer crushing powers all year round. Stuffing-flavoured Kale chips –because seriously, why not? Tiger Butter –a recipe that is made with only the good stuff. Fermented treats: These are expensive to buy at the store, something that not everyone is making (but many are curious about) and such a welcome homemade gift. Try our Sauerkraut, Carrot & Jalapeño Hot ‘Sauce’, or any of these veggie ideas. Start them today to be ready in time! Chocolate Sunflower Seed Butter Balls –think chocolate and crunchy peanut butter, minus the aflatoxin and the refined sugar. Homemade Sprouted Broccoli Mustard -It just tastes like really good mustard, but has way more cancer-crushing powers. It’s easy to make but people will be deeply impressed. Either of our Black eyed Pea Recipes –Black eyed Peas and Greens or Squash and Black eyed Pea Chili. A lucky, happy new year gesture that anyone would be grateful for. Homemade Nut Milk –easy enough to make yourself but also inconvenient enough that it would be an exciting gift to receive. Bonus if they’ve never tried homemade, it’s like night and day compared to store-bought. A jar of Homemade Muesli and some organic Mandarin oranges would be a great addition to this too. The gift of going to bed excited about breakfast the next morning is priceless. Fill Their freezer -with soup, stew, healthy snacks, things that they know they should be eating but perhaps haven’t had the energy to cook every night. You can freeze them in mason jars and they can pull them out the night/day before and put them in the fridge to safely defrost. Be sure to freeze them into portions that match their appetite (usually pretty small during cancer) and also check on available freezer space before you begin. You could also offer to make some larger meals for their family. I know from experience that this can be a big stress for the person who usually cooks for the family when they get sick. Making sure their kids and pizza-ordering spouse is eating well can be a big relief. Click on the ‘Freeze-able’ tab to find some healthy, freezer-friendly recipes on this site. (This can be a really fun thing to do as a group of people. Print off the recipes, pool your grocery money and make an afternoon/evening of it. It can be a fun, meaningful way to see friends and/or family over the holidays in a more intimate setting. OR give it as a gift but plan it for after the holiday season and let the recipient choose the recipes/be there to take part). Spirooli/Spiralizer– Or even a julienne peeler stocking stuffer. Zucchini noodles rule because they help us cut back on refined grains and help us eat more veggies. Spiraled veggies are a good way to make salads more interesting too. You know you want one. Glass Straws– so durable, non-toxic, easy to clean and an allover better smoothie-sipping experience. Available at health food stores and fancy grocery stores. Organic Sprouting Seeds and Supplies –the most affordable and enzyme-rich way to eat local veggies in the winter (possibly any time of year). Mumm’s is one of our fave organic/non-GMO suppliers in Canada, but find somewhere local to you. Pair this gift with some Homemade Sprouted Broccoli Mustard (or just the recipe) to give them some inspo. Charcoal Water Filter –I found these this year to take on a road trip we were going on. You literally drop them in your water bottle and they absorb the nasties in the local water. They are reusable (boil every few months) and inexpensive. Pair it with a good quality glass water bottle to make it a more elaborate gift. (Secretly) take their knives to get professionally sharpened -Sometimes that’s all it takes to get excited about cooking again (and it’s far safer than working with dull knives). Or buy them a good quality chef’s knife. Gift card to a local grocery delivery service -Going to the grocery store can be hectic at the best of times but add low energy and a lowered immune system and it’s sort of the worst. Having organic groceries delivered right to your door is a commonplace option these days in most cities and is so damn awesome for the person going through cancer treatment. This might be the kind of thing you could do if several people wanted to pool their money together. Adult Colouring Books -Art therapy is a real thing, and colouring is a peaceful, colourful, electricity-free way of expressing ourselves and passing the time. We love the books by Huelish, they are high quality and have a unique take on the adult colouring book that makes you feel like an actual artist capable of beautiful things (whether or not colouring inside the lines is your thing). Give some good pencil crayons and a sharpener to go with it. Organic underwear –Do you know how hard these were to find even 5 years ago? There are all kinds available to choose from out there now. Think about the areas of your body that your undies are in contact with. Cotton is one of the most highly sprayed crops, so organic cotton or natural wool (these aren’t itchy, promise) underwear make a thoughtful (and possibly romantic?) gift. Sleeping mask -You might laugh but these things are the best! If you think your bedroom is dark now, wearing a mask will make it completely dark, which does actually improve sleep. It can also help with taking a really solid nap during the day. Cancer thrivers need their sleep (we all could probably use more sleep), that’s when the body repairs itself. you don’t have to buy the ones with fancy eyelashes or cat faces, but those exist too. Qi Gong dvds – Described online as an ‘ancient Chinese healthcare system that integrates physical postures, breathing techniques and focused intention’. This one is a little more personal, as my husband has just finished his qi gong teacher training and I’ve been surrounded by it for months now, but it is actually really amazing stuff. It’s good for all walks of life and you can even find healing energy flows specific to different parts of the body, and sitting versions if you’re not very active these days. If you know someone who is struggling with getting into meditation, this is a nice alternative. I’ve been using these ones by Lee Holden, but I’m sure there are lots of good ones out there. Car/bike share Membership –it’s usually a pretty inexpensive annual fee, and then they can pay as they use it. Useful for getting to appointments if someone doesn’t have a car or doesn’t want to pay for parking for hours at a time. You could also offer to give them a ride. Figure out why their Netflix/Soundbar/Computer has stopped working –you know what/who I’m talking about. Make it a gift and everybody’s happy. A good book –Something you have read recently that is uplifting, inspiring and/or funny. Those are the feelings we are all trying to conjure up during crappy cancer times, and a really good book can help. It’s also nice to have something good to read in the waiting room/chemo chair and on the couch during the slo-mo days. Integrative Health Appointments –Acupuncture, Naturopath, Yoga etc. Being a cancer thriver can get really expensive. Find out where they go and call the clinic to see if you can cover a mistletoe injection (it even sounds Christmas-y! ), an acupuncture appointment or add classes to their yoga pass. Make sure it is something that they are already using/doing so that it’s actually useful to them. Again, this is a great idea if you’re part of a group of people who want to pool their money. Donate your flyer miles -I read on an airplane recently that you can donate your Aeroplan miles to people who have to travel for their cancer treatment or to youths with cancer, to send them to camp. It was so hard to book a flight I actually needed that I bought a dumb stereo with mine, I wish I’d done this instead. If you collect miles, look to see if there is an interesting way to donate them. It gives you the warm, fuzzy feeling without overstretching your wallet over the holiday season. You can also do it on someone else’s behalf, if they insist on no gifts, then you get to share the warm fuzzies. Donate (your time or money) to local, non-profit integrative cancer centers or organizations in your area -(the kind that you can clearly see what the money is going towards). Here, in Vancouver Inspire Health is a totally free resource for people looking for programs and services to help them navigate through cancer. Thrive Alive Foundation accepts donations that they put towards helping people pay for integrative cancer care such as acupuncture/Chinese medicine, massage, IV vitamin C, etc. The Lipstick Project provides free, professional spa services to cancer thrivers and their families. So. Cool. I’m sure there are good ones in your area too if you do a little research. You can write what you plan to do in a card for someone who has insisted on no gifts, and say you’re doing it on their behalf. Again, sharing that nice, giving feeling. I hope you find some useful tips in this post! 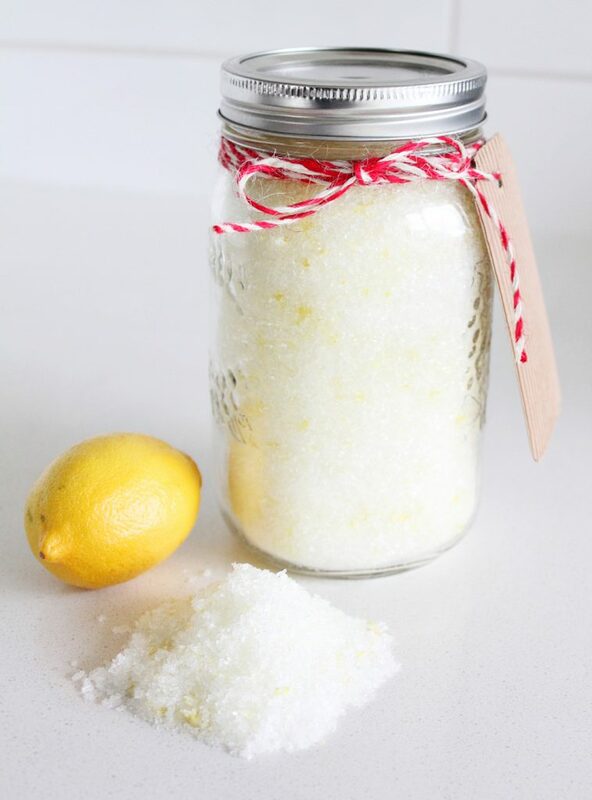 And don’t forget, you can also just make a big batch of bath salts, nobody (over the age of 13?) is sad about an excuse to take a bath. If you have any questions or gift-giving ideas as a cancer thriver or as someone who has supported someone through cancer, we would love to hear them in the comments below! This post was NOT sponsored; just our honest opinions. In a small dish, stir the essential oil together with the olive oil (the olive oil helps to disperse the essential oils more evenly). Toss all ingredients together using your rubber gloved hand. Use 1-2 cups per bath.